The construction industry has unique challenges because of its complex set of accounting rules and tax regulations. Our Fairfield County CPA firm specializes in serving this dynamic industry. Working closely with your construction firm, we will evaluate your profitability on current projects, assist with budgeting and projections and develop tax planning strategies to help minimize your taxes. When you work with Eric H. Zielinski & Co., LLC you can expect to get control of your money and become more profitable. That way you can focus your attention on growing your construction business. Architects, consulting engineers, general contractors, subcontractor specialty trades, mechanical, electrical, HVAC, painting, and other professionals have all benefited from working with Eric H. Zielinski & Co., LLC. 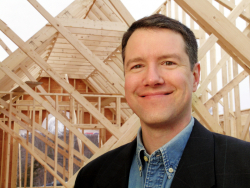 Send us an e-mail or call us today at 203-275-8860 and ask for Eric to discuss your construction industry needs with an experienced Fairfield County CPA.